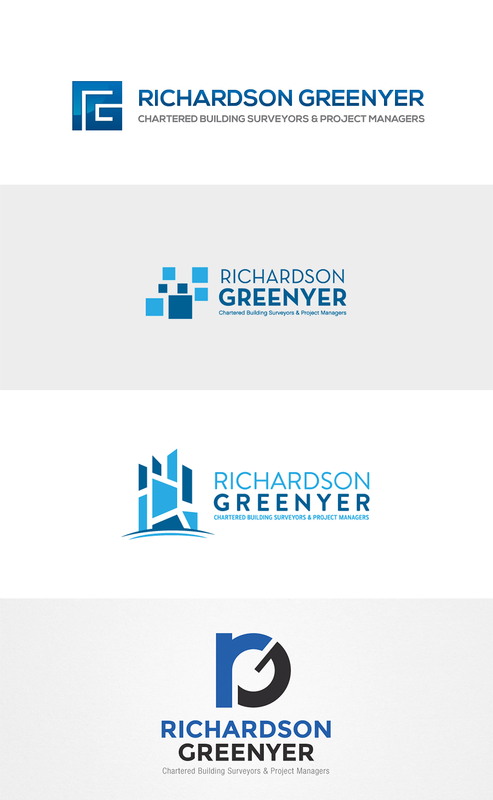 New chartered surveyor outfit Richardson Greener asked us to design them a logo. Our logo design process took us through several design concepts and concluded on the blue-gold letter mark you see here. If you're interested to see how the design process went, have a look at the design short list below.